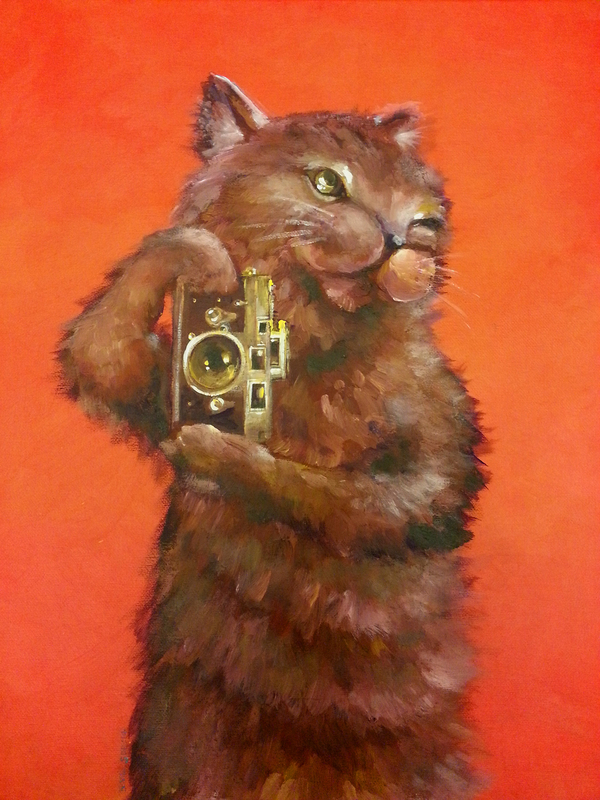 This painting is based on my continual interest in classic cameras. In a couple of years, I doubt many kids would know what it means to peak with one eye through a viewfinder. Classic, isn’t it? These are childhood memories that I still keep. This painting is currently on display at Baguette And Co.